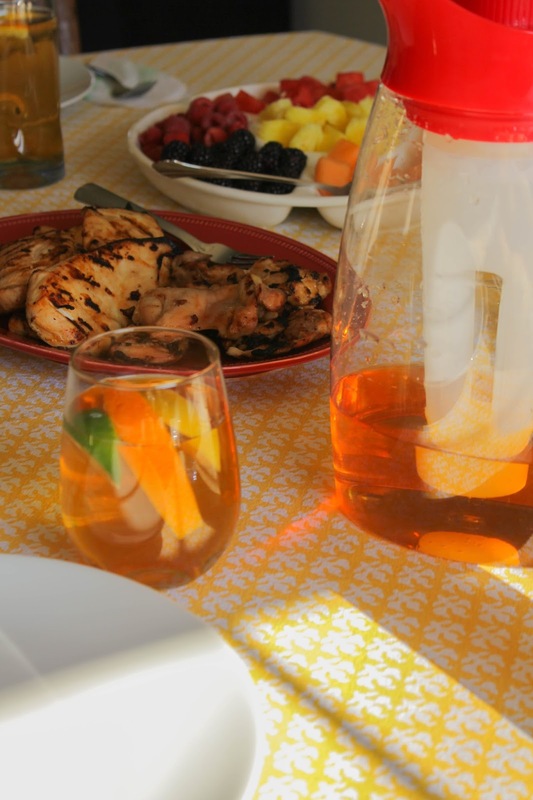 Citrus Sweet Tea and my favorite way to serve it all Summer! slightly sweet, fruity, and oh so delicious. Perfect on a warm summer day! Everyone who knows me well knows that I'm an iced tea addict. Not just any tea either, but sweet tea. My family is from the south so I come by my love for sweet tea naturally. I grew up drinking it with my mom and grandma, and have loved it ever since. During the warmer months I like to make sun tea, but living in Michigan it's hard to make it in the winter. 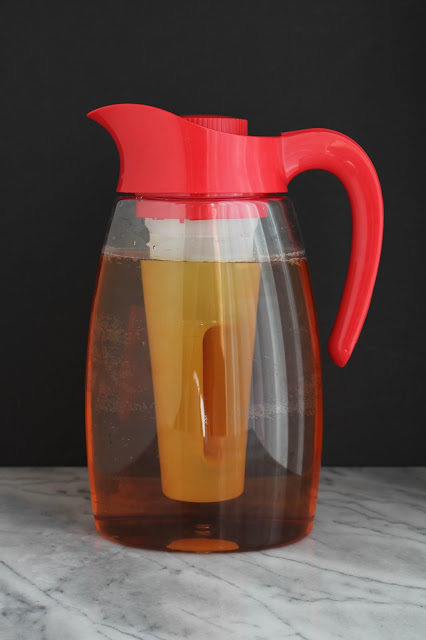 I recently had the opportunity to try out Epoca's Primula Pitcher and let me just say, I love it! 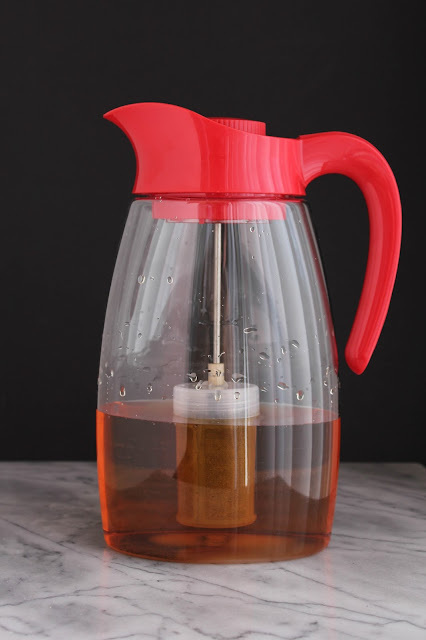 It comes with three different inserts - one for steeping the tea, one for infusing flavor, and a chill core that keeps your beverages cold for hours! 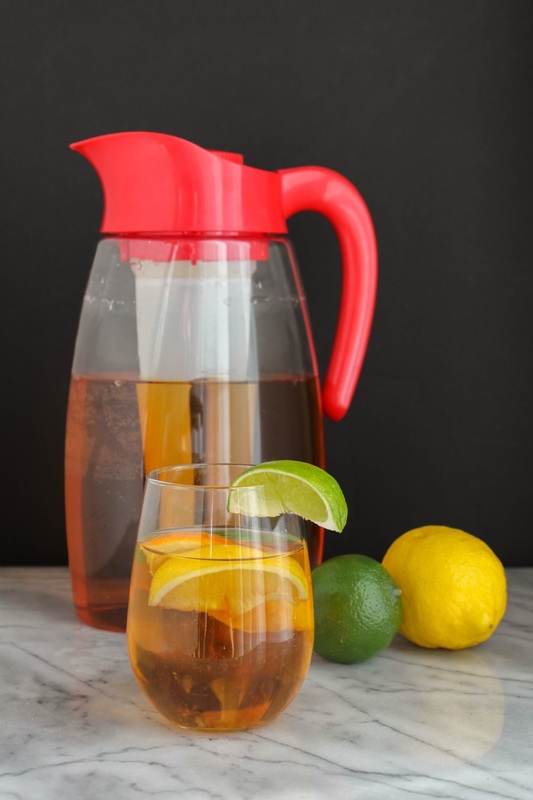 The pitcher isn't just for tea either. You can make flavored waters, lemonade, and even cocktails! The options are endless. One of the things I love about this pitcher is how durable it is. It's made with Tritan™ plastic. It looks like glass, but it's not! It's clear, which makes it easy to see what's inside the pitcher. It's also extremely durable. It's shatter resistant and won't warp or crack, even in the dishwasher. Tritan™ plastic is also free of BPA, BPS or any other bisphenols. You can learn more about Tritan™ by visiting them on Facebook and Twitter. I made a pitcher of Citrus Sweet Tea that is sweet, fruity, and totally delicious! I infused my tea with oranges, lemons and limes, but you could add any of your favorite citrus fruits to the mix. 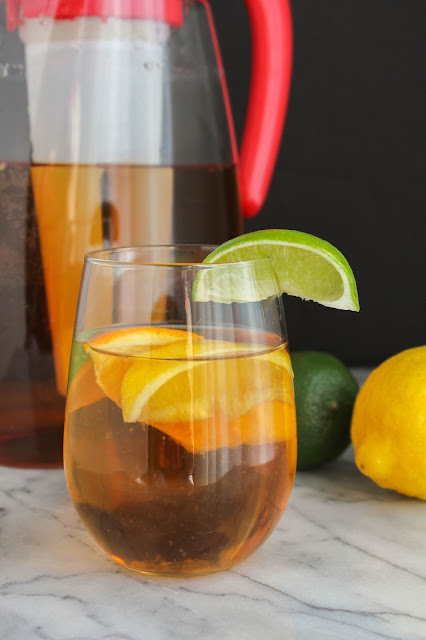 I shared this tea with my family at our last get together and it was such a huge hit! I'm pretty sure we drank the entire pitcher in one afternoon! I don't know about you, but all this talk about tea is making me thirsty! So, let's get to it. Add four cups of water and the sugar to Epoca's Primula Pitcher and stir well. Place the tea bags into the mesh core and screw the lid on the pitcher. Allow the tea to steep for one hour. Remove the mesh insert from the pitcher and discard the tea bags. Add the remaining four cups of water to the pitcher. Place several fruit wedges into the flavor insert, then add the insert to the pitcher and close tightly. Allow the flavors to infuse the tea for an hour. 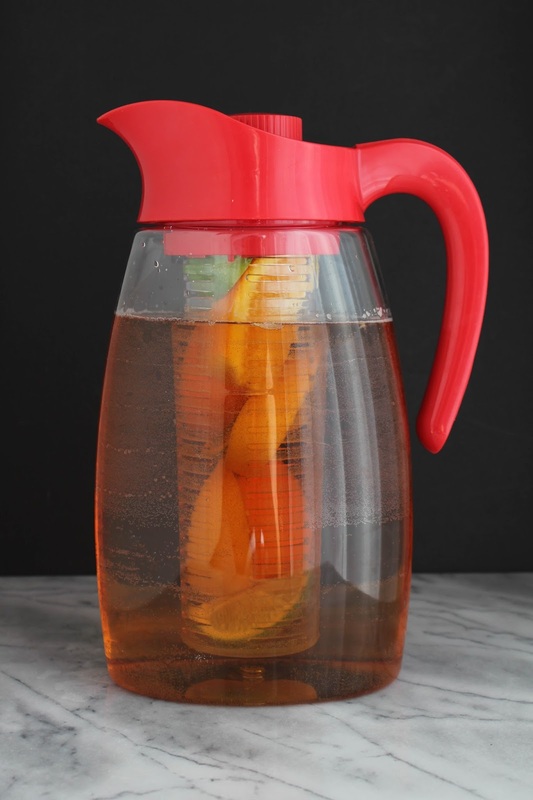 Remove the fruit infuser from the pitcher. Add the chill insert into the pitcher and screw the lid on tightly. 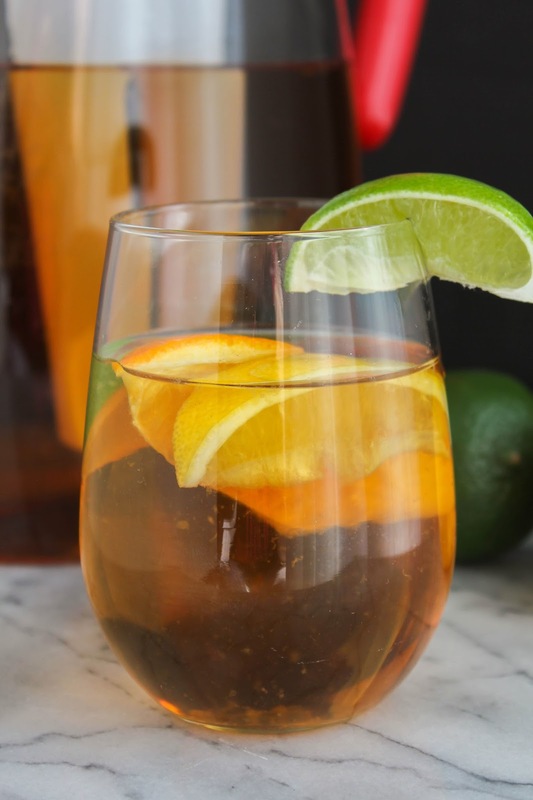 Pour the tea into glasses and serve with additional fruit slices. I received a free product to try as well as compensation for this post through my relationship with Quality Blue Community. All opinions are my own.